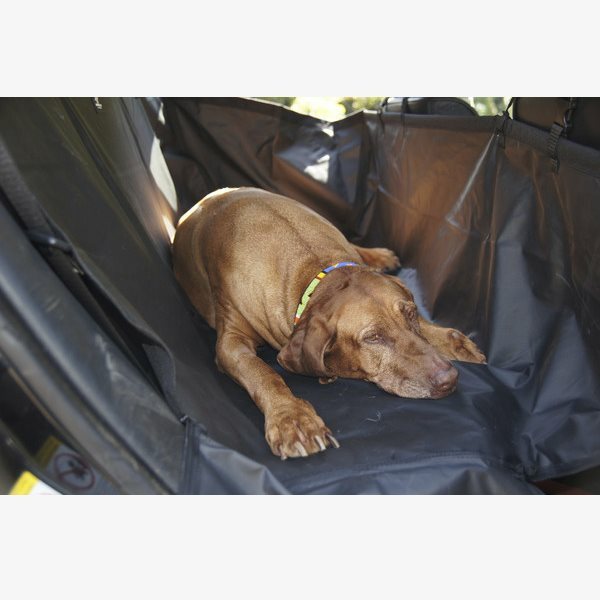 The Norton Back Seat Hammock Cover is the best way to keep your car clean and your dog safe. 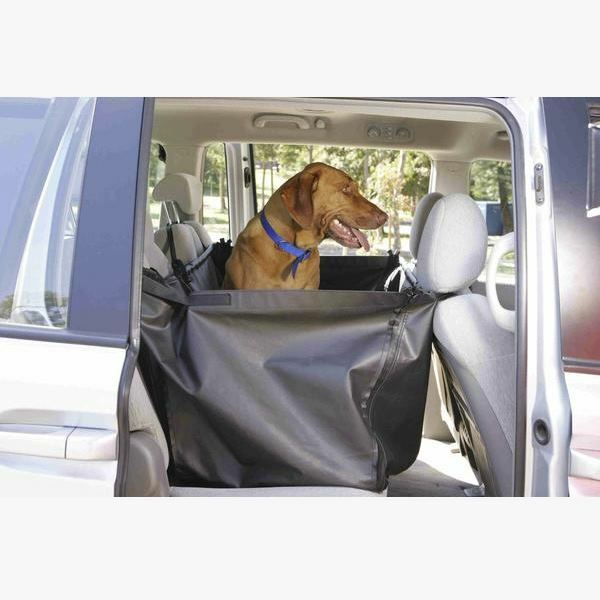 Its unique zip-able side panels ensure that you keep your dog secure and your car clean. 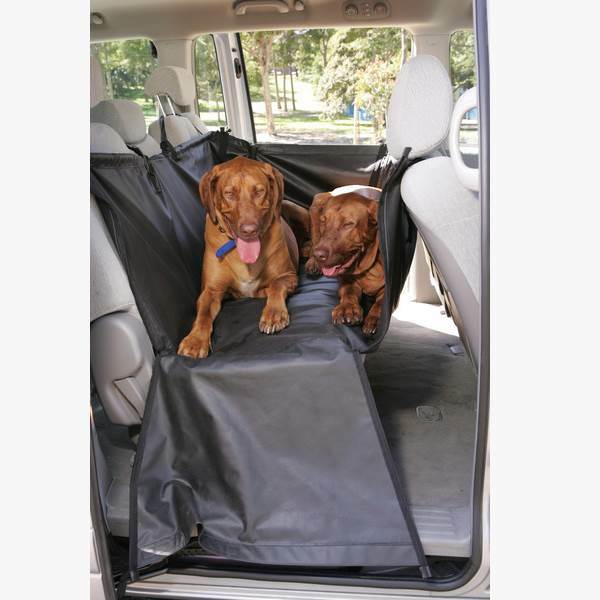 Unzip and let the flap down when your dog jumps in or out and the door jamb and upholstery is kept clean and free of scratches. 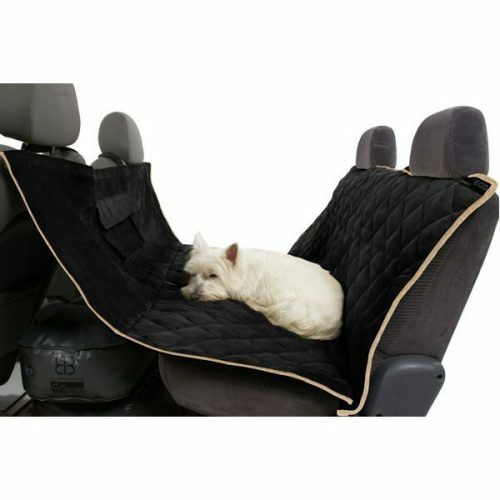 The fabric is constructed to minimise fur and hair accumulating in the car. 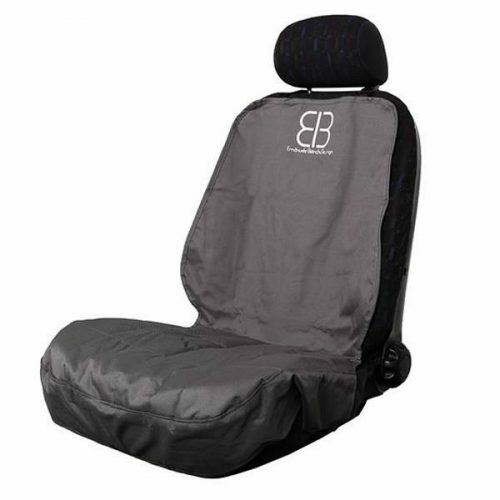 The smooth surface actually prevents hair clinging and allows easy cleaning. 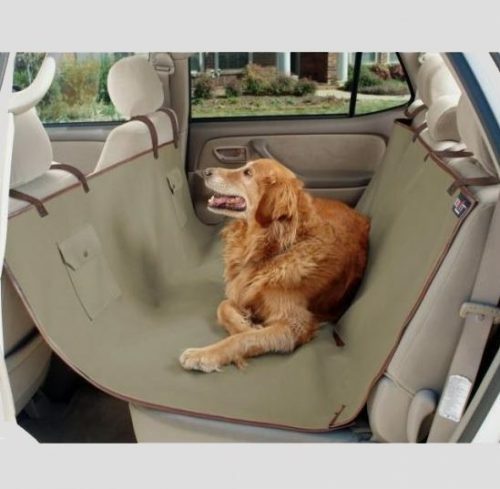 Fits most cars, requires front and rear seat headrests. 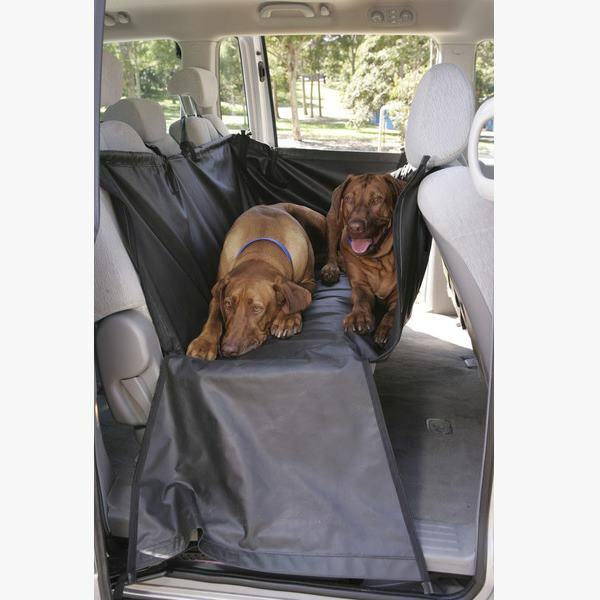 The Norton Back Seat Hammock Cover is a great way to keep your car clean and your dog safe. 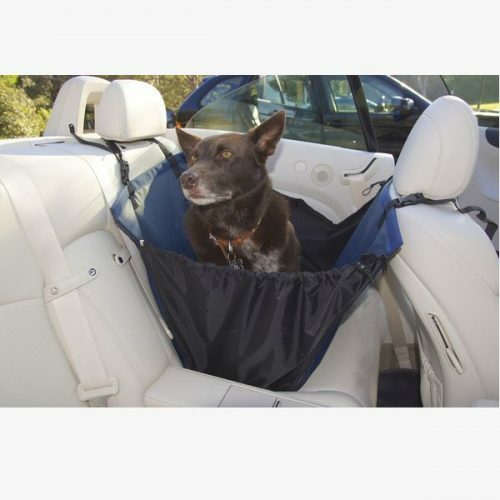 Its unique zip-able side panels ensure that you keep your dog secure and your car clean. 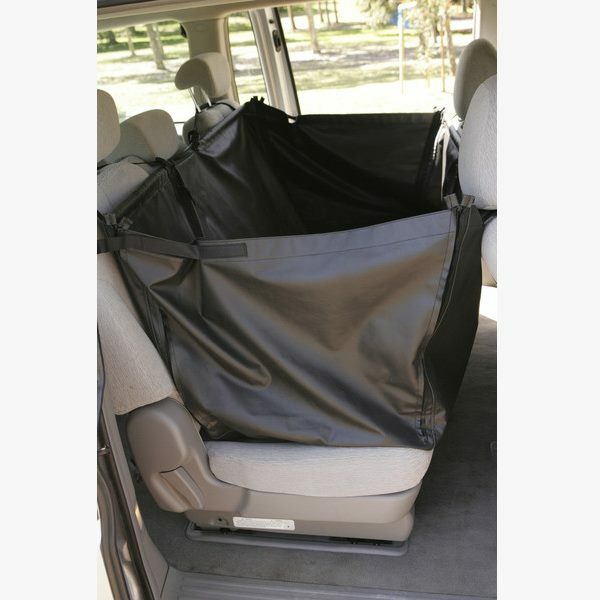 Unzip and let the flap down when your dog jumps in or out and the door jamb and upholstery is kept clean and free of scratches. 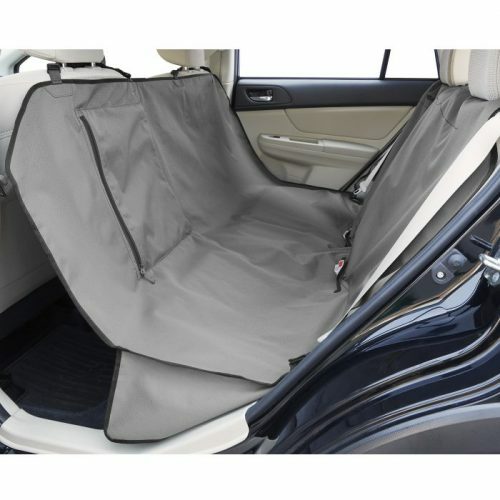 The fabric is constructed to minimise fur and hair accumulating in the car. 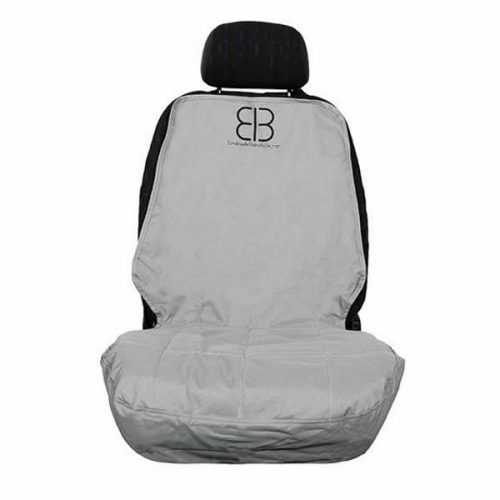 The smooth surface actually prevents hair clinging and allows easy cleaning. 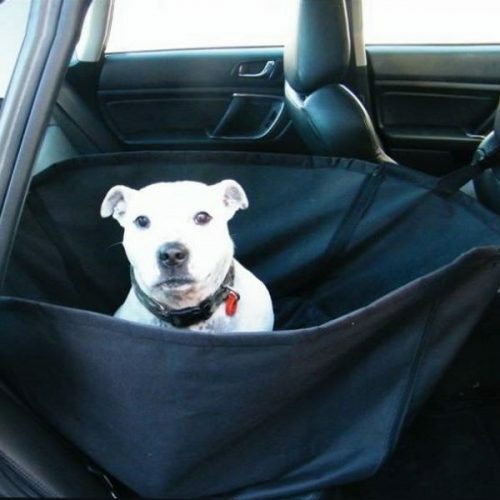 The Norton fits most cars, requires front and rear seat headrests. 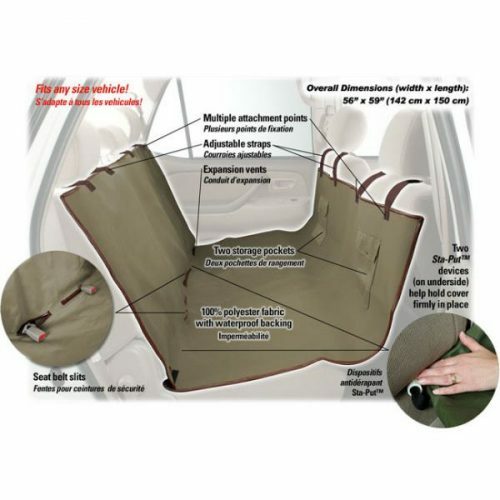 The Back Seat Protector is adjustable to fit most cars. 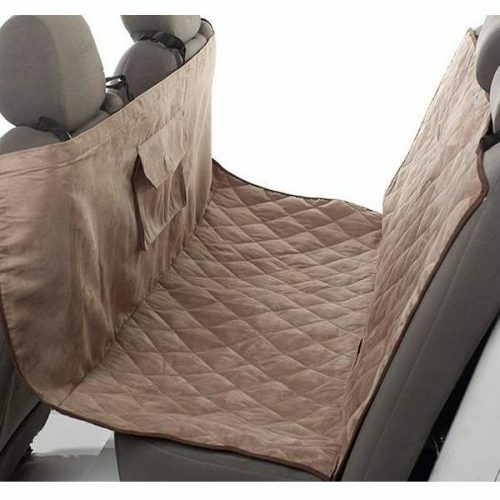 It requires cars to have front seat and back seat headrests. 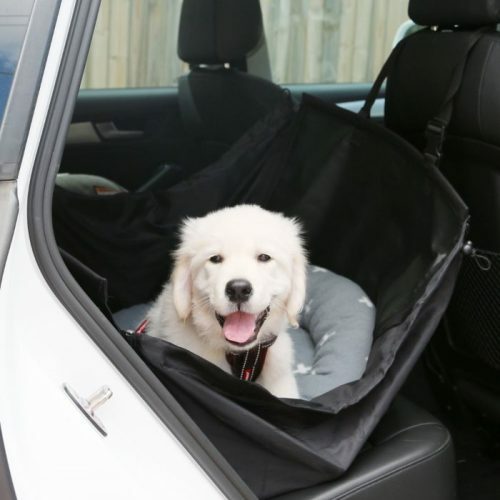 It has been used and tested on the following cars. This is not an exhaustive list. 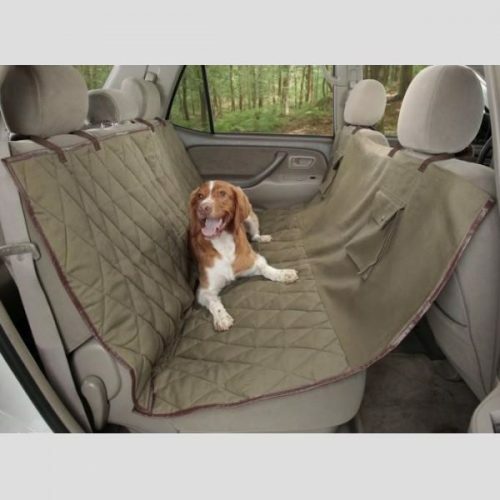 Not ideal for the Holden Sportswagon and Ford Futura wagon as they do not have back seat headrests. 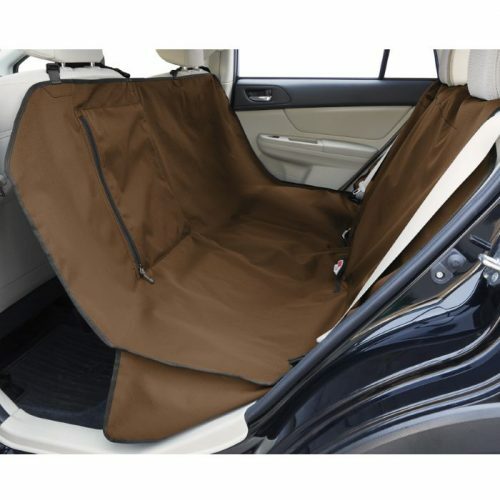 Made from 600 denier Polyester coated with rubber. 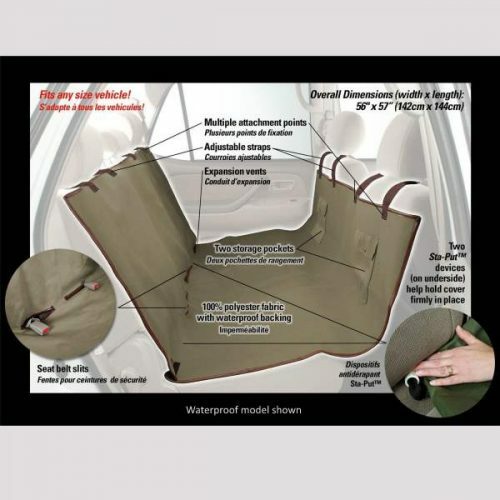 Waterproof and virtually tear proof. 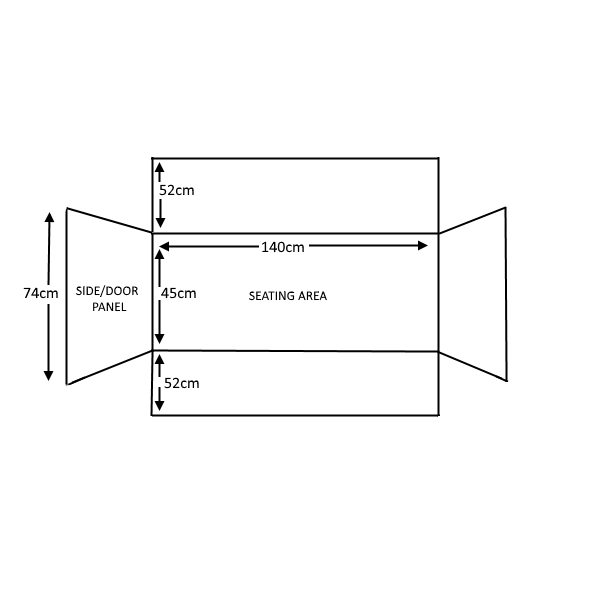 We guarantee the quality of the construction and will gladly replace the product should you find a defect within six months of purchase.